Your teeth need to be straight. When they are out of alignment or crooked, they do not function properly and can become damaged or cause damage to your jaws. Crooked, poorly aligned teeth are also less attractive than straight, even teeth. If you have crooked or misaligned teeth, Dr. Sudomir offers orthodontic treatments to straighten and realign them, giving you a healthy smile again. We offer a wide range of orthodontics, including metal braces and Invisalign clear aligners. Both treatments work in a similar way; over time they slowly and gently guide your teeth into the correct position and alignment. Invisalign aligners differ from braces in that they use clear plastic aligners that are virtually invisible while they are being worn. Also, unlike braces, aligners can be removed for brushing or flossing or while you eat. When you have a normal bite, the teeth in your upper jaw slightly overlap your lower teeth. Sometimes your jaws or teeth cause your teeth to overlap too far forward (overbite) or too far back (under bite), which results in a bite problem. Left untreated, a bite problem can result in damage to your teeth and jaw bones. Teeth normally grow around your jaw in a u-shape, and are evenly spaced and aligned. Sometimes, however, your teeth grow in such a way that they become crowded together, with narrow or non-existent gaps between teeth. Crowded teeth are harder to clean and brush, making them prone to tooth decay. Crowded teeth can also appear unattractive, as a crowded smile looks uneven. Your teeth normally have slight spaces between them. When teeth grow too close together, or if teeth shift over time, these spaces may become closed. When the spaces between your teeth are too tight, it can become difficult to floss between teeth and you are at risk of developing decay. The opposite can also occur and teeth can grow in with large gaps between them, resulting in an unattractive, misaligned smile. Finally, if a tooth is lost, the teeth adjacent to the missing tooth can begin to shift into the resulting gap, causing potential damage to your teeth and gums. 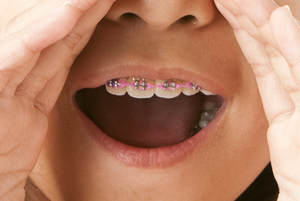 There are several orthodontic treatments to correct spacing issues. If you suffer from alignment, bite or spacing issues, call our Sterling Heights office today to book an orthodontic assessment.